Get a sense of the local culture at The Metropolitan Museum of Art and Ellis Island. Step out of the city life by going to Narwhal Yacht Charters and The Pond. There's still lots to do: get a taste of the local shopping with Fifth Avenue, don't miss a visit to Times Square, look for gifts at Tiffany & Co., and learn more about the world around you at American Museum of Natural History. To find reviews and tourist information, read New York City trip planner. Sydney, Australia to New York City is an approximately 26-hour combination of flight and bus. You can also fly; or do a combination of train, flight, and bus. Due to the time zone difference, you'll gain 15 hours traveling from Sydney to New York City. Traveling from Sydney in June, things will get a bit warmer in New York City: highs are around 31°C and lows about 21°C. Finish your sightseeing early on the 20th (Thu) so you can travel to Washington DC. On the 20th (Thu), explore the activities along Tidal Basin, then see the interesting displays at National Air and Space Museum, then get to know the fascinating history of Tomb of the Unknowns, and finally pause for some photo ops at Vietnam Veterans Memorial. Here are some ideas for day two: contemplate in the serene atmosphere at Washington National Cathedral, then tour the pleasant surroundings at National Zoological Park, and then explore the different monuments and memorials at Arlington National Cemetery. To see photos, more things to do, reviews, and more tourist information, use the Washington DC trip planner . Getting from New York City to Washington DC by flight takes about 3.5 hours. Other options: do a combination of bus and flight; or drive. Traveling from New York City in June, you will find days in Washington DC are somewhat warmer (35°C), and nights are about the same (24°C). Wrap up your sightseeing on the 21st (Fri) early enough to travel to Yellowstone National Park. 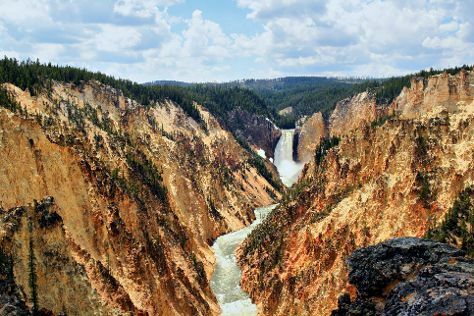 Get in touch with nature at Grand Canyon of the Yellowstone and Yellowstone Lake. Spend the 24th (Mon) exploring nature at Yellowstone National Park. There's still lots to do: hike along Artist Point, appreciate the extensive heritage of Uncle Tom's Trail, and look for gifts at Fishing Bridge General Store. To find other places to visit, ratings, more things to do, and tourist information, read Yellowstone National Park trip itinerary planner . Do a combination of flight and car from Washington DC to Yellowstone National Park in 9.5 hours. Alternatively, you can do a combination of flight, shuttle, and car; or drive. Due to the time zone difference, you'll gain 2 hours traveling from Washington DC to Yellowstone National Park. Traveling from Washington DC in June, things will get much colder in Yellowstone National Park: highs are around 22°C and lows about 1°C. Cap off your sightseeing on the 24th (Mon) early enough to travel to Grand Canyon National Park. Escape the urban bustle at Canyon Village Marketplace and Rim Trail. Visit Hermit's Rest and Grand Canyon Railway Depot for their historical value. Spend the 26th (Wed) wandering through the wild on a nature and wildlife tour. There's still lots to do: explore the stunning scenery at Grand Canyon South Rim and hike along South Kaibab Trail. To see other places to visit, ratings, where to stay, and other tourist information, refer to the Grand Canyon National Park vacation maker website . Do a combination of car, flight, and bus from Yellowstone National Park to Grand Canyon National Park in 10.5 hours. Alternatively, you can do a combination of taxi, flight, and bus; or take a bus. Prepare for somewhat warmer weather when traveling from Yellowstone National Park in June: high temperatures in Grand Canyon National Park hover around 34°C and lows are around 6°C. Wrap up your sightseeing on the 28th (Fri) to allow time to travel to Las Vegas. Kick off your visit on the 28th (Fri): examine the collection at The Mob Museum, get a taste of the local shopping with The Strip, and then admire the local landmark of Bellagio Fountains. For ratings, traveler tips, and other tourist information, go to the Las Vegas trip itinerary maker site . Getting from Grand Canyon National Park to Las Vegas by combination of flight and car takes about 4.5 hours. Other options: drive; or take a shuttle. The time zone difference moving from Mountain Standard Time (MST) to Pacific Standard Time (PST) is minus 1 hour. When traveling from Grand Canyon National Park in June, plan for a bit warmer days and much warmer nights in Las Vegas: temperatures range from 46°C by day to 29°C at night. Finish your sightseeing early on the 29th (Sat) to allow enough time to travel to Los Angeles. On the 29th (Sat), stop by Amoeba Music, enjoy the sand and surf at Venice Beach and Boardwalk, then take a leisurely stroll along Santa Monica Pier, and finally see the interesting displays at The Getty Center. Here are some ideas for day two: look for all kinds of wild species at Kenneth Hahn State Recreation Area, then shop like a local with Montana Avenue, and then shop like a local with Third Street Promenade. For maps, other places to visit, photos, and other tourist information, read our Los Angeles vacation planning website . You can fly from Las Vegas to Los Angeles in 4 hours. Other options are to fly; or drive. When traveling from Las Vegas in June, plan for colder days in Los Angeles, with highs around 30°C, while nights are a bit cooler with lows around 19°C. Finish your sightseeing early on the 1st (Mon) to allow enough time to travel to Yosemite National Park. Escape the urban bustle at Cathedral Beach Picnic Area and Sentinel Dome. 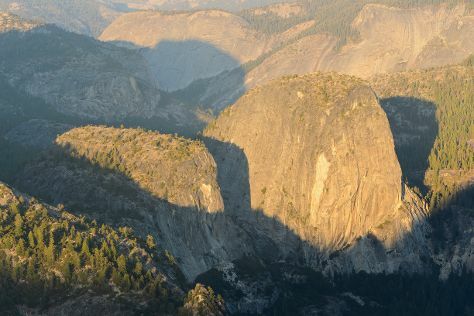 There's much more to do: take in the dramatic natural features at Glacier Point, trek along North Dome, make a trip to Valley View, and see the interesting displays at Yosemite Museum Gallery. For traveler tips, more things to do, other places to visit, and other tourist information, read our Yosemite National Park online itinerary planner . Do a combination of flight and car from Los Angeles to Yosemite National Park in 4.5 hours. Alternatively, you can drive; or do a combination of flight, bus, and taxi. Traveling from Los Angeles in July, Yosemite National Park is much colder at night with lows of 9°C. Wrap up your sightseeing on the 4th (Thu) early enough to drive to San Francisco. Take a break from the city and head to Alcatraz Island and Twin Peaks. Head to Union Square and City Lights Booksellersfor some retail therapy. There's lots more to do: stroll through Fort Funston National Park, get curious at Exploratorium, buy something for everyone on your list at Ferry Building Marketplace, and wander the streets of Fisherman's Wharf. To see traveler tips, ratings, reviews, and other tourist information, refer to the San Francisco online trip planner . Traveling by car from Yosemite National Park to San Francisco takes 4 hours. Alternatively, you can take a bus; or do a combination of taxi, bus, flight, and subway. Traveling from Yosemite National Park in July, you will find days in San Francisco are little chillier (26°C), and nights are a bit warmer (16°C). Cap off your sightseeing on the 7th (Sun) early enough to travel to Miami. 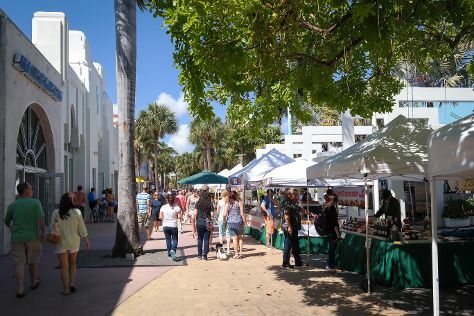 Start off your visit on the 8th (Mon): take a stroll through Lincoln Road, then appreciate the extensive heritage of Art Deco Historic District, and then wander the streets of Ocean Drive. On the 9th (Tue), you'll have a packed day of sightseeing: kick back and relax at South Beach, look for all kinds of wild species at Shark Valley, and then race across the water with a speed boat tour. To find maps, where to stay, traveler tips, and other tourist information, read our Miami travel tool . Getting from San Francisco to Miami by combination of flight and tram takes about 7.5 hours. Other options: do a combination of flight and bus; or drive. The time zone difference moving from Pacific Standard Time (PST) to Eastern Standard Time (EST) is 3 hours. Expect a bit warmer weather when traveling from San Francisco in July: highs in Miami hover around 38°C, while lows dip to 30°C. On the 10th (Wed), wrap the sightseeing up by early afternoon so you can travel to San Antonio. Kick off your visit on the 11th (Thu): Head underground at Natural Bridge Caverns, then pause for some serene contemplation at San Fernando De Bexar Cathedral, and then shop like a local with The San Antonio River Walk. Get ready for a full day of sightseeing on the next day: contemplate the long history of The Alamo, take in the history at Mission San Jose, and then look for all kinds of wild species at Lady Bird Johnson Wildflower Center. For more things to do, ratings, and tourist information, refer to the San Antonio route planning website . You can do a combination of tram and flight from Miami to San Antonio in 6 hours. Alternatively, you can do a combination of train and flight; or drive. The time zone changes from Eastern Standard Time (EST) to Central Standard Time (CST), which is usually a -1 hour difference. When traveling from Miami in July, plan for somewhat warmer days and about the same nights in San Antonio: temperatures range from 43°C by day to 28°C at night. Wrap up your sightseeing by early afternoon on the 13th (Sat) to allow enough time to travel back home.